The prophet Nephi taught, “And we talk of Christ, we rejoice in Christ, we preach of Christ, we prophesy of Christ, and we write according to our prophecies, that our children may know to what source they may look for a remission of their sins” (2 Nephi 25:26). 1850 First messages of restored gospel shared by British sailors visiting Calcutta, India. 1851 First baptisms and converts called as missionaries by Elder Joseph Richards & small branch established and small meetinghouse built but most members emigrated. 1853 First messages of restored gospel shared by missionaries in Madras, Bombay, Rongoon, Karachi, Poona, and other areas. 1858 Missionaries returned to Utah and several converts emigrated. 1903 India Mission has not been successful and at least one branch existed. 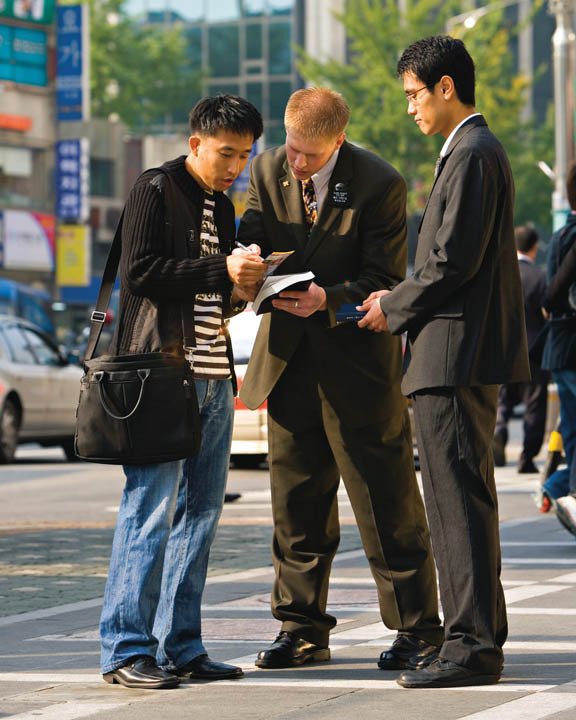 1981 The Book of Mormon translated into Telugu & the government allowed a missionary couple to establish a branch. 1993 Bangalore Mission created & native of India (Gucharan Singh Gill) served as President. India had 1,150 members in 13 branches. 1998 India had 2,000 members in 18 branches. 2002 First meetinghouse dedicated in India for the Rajahmundry Branch (small local congregation). 2012 First LDS stake in India organized & named the Hyderabad India Stake (a stake is a group of “wards,” or congregations with over 200 members and good leadership). This Church is true. It will weather every storm that beats against it. It will outlast every critic who rises to mock it. It was established by God our Eternal Father for the blessing of His sons and daughters of all generations. It carries the name of Him who stands as its head, even the Lord Jesus Christ, the Savior of the world. It is governed and moves by the power of the priesthood. It sends forth to the world another witness of the divinity of the Lord. Be faithful, my friends. Be true. Be loyal to the great things of God which have been revealed in this dispensation (“Keep the Faith,” Ensign, September 1985, 6). I invite you to prayerfully consider this message and ask God of the veracity for yourself. I know that the current prophet (Thomas S. Monson) is led by God to guide the Church of Jesus Christ today. (See Prophets and Apostles Speak Today: Special Witnesses of Christ.) Everyone is invited to listen to him when he addresses the world during General Conference (broadcast biannually via satellite, LDS.org, and Ensign magazine publications).